DESCRIPTION: Red/orange scales fading to white. White margins on leading edges of all fins. 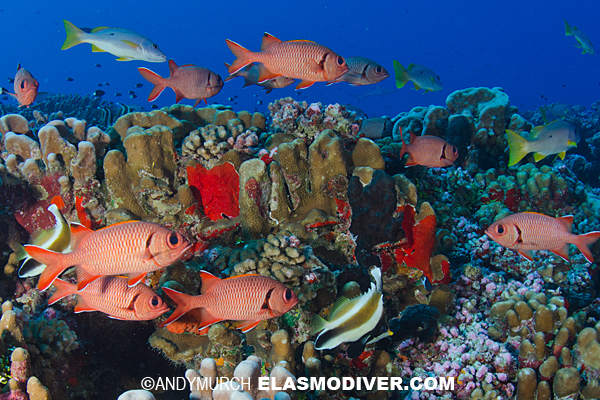 Yellow dorsal fin (usually hidden). Black line along gill opening. RANGE: Indo-Pacific. East Africa to French Polynesia and Hawaii. 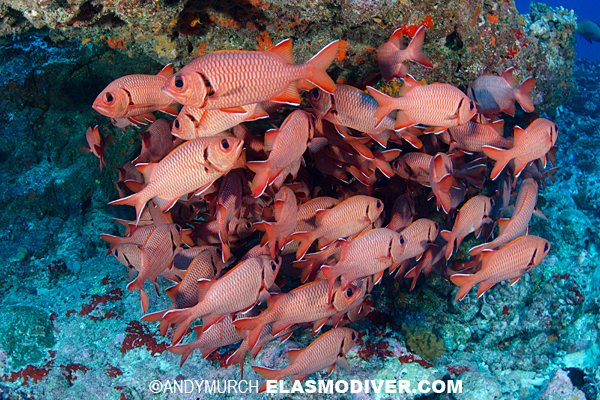 These Bigscale Soldierfish pictures are available for commercial licensing. For further information regarding usage please e-mail Elasmodiver. All of the images on elasmodiver.com are copyright protected. 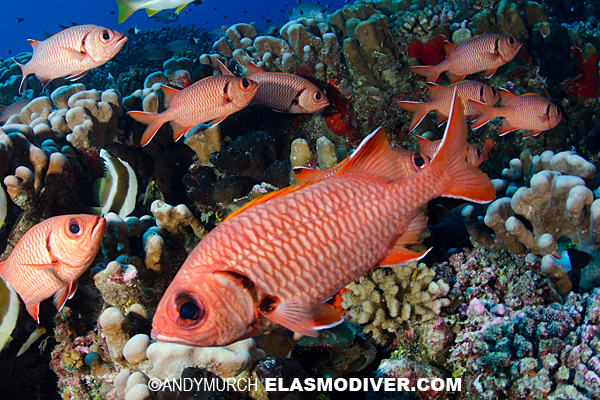 No unauthorized use of these Bigscale Soldierfish pictures is permitted. Please contact Elasmodiver for further information.